Each year the ALDA Board of Directors honors various people and organizations that have either improved the lives of late-deafened adults or significantly contributed to the activities and well-being of ALDA. Below are descriptions of all the awards given out by ALDA. ALDA award recipients normally have worn several hats and contributed to the organization in various ways. The fact that they receive a specific award is often little more than highlighting outstanding service of a particular type. I. King Jordan Distinguished Achievement Award – Awarded to only one person each year at the discretion of the ALDA Board of Directors, the I. King Jordan Award is the highest honor presented by ALDA. It is presented to a late-deafened person who has had a successful and distinguished career in their chosen field of endeavor, made significant contributions to their community, profession and/or nation, provided an outstanding role model for late-deafened adults everywhere, and clearly demonstrated to the hearing community that a person’s competence, integrity, and human worth are not necessarily diminished by the fact they are deaf. Robert R. Davila ALDA Angel Award – Presented to an individual, organization, or agency providing ALDA with important services, funding or other forms of support during the year. ALDA Brainstorm Award — Presented for a creative idea or initiative which has had or will have a significant long-term benefit to ALDA. Bob Hawley Fearless Leader Award — Presented to an individual for superior leadership in advancing, maintaining or establishing an ALDA chapter or a group. Able ALDAn Award — Presented to a member of ALDA who has contributed time and hard work above and beyond the call of duty. Cheryl Heppner ALDA Advocacy Award — Presented to a person for outstanding advocacy on behalf of late-deafened adults. Nominations are now open for any of these awards. 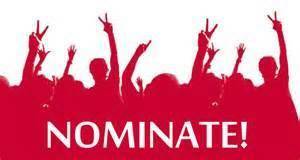 The deadline for receiving nominations is September 1st. If you know of anyone that you think is deserving of any of these awards, either go to the ALDA website and click on the ALDA Awards Nomination Form or CLICK HERE, complete and submit the form.